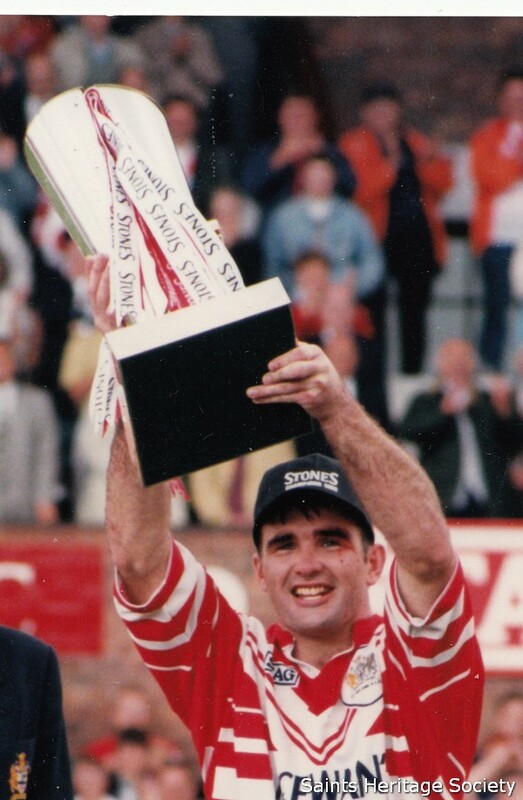 Chris signed from Oldham in 1992 and in his first season collected a winner’s medal in the Premiership trophy and picked up the Harry Sunderland Trophy for an outstanding display. 1993 saw Chris take to the international stage coming off the bench in a Test Match against FranceHis international career was secure and he went on to collect 27 caps for Great Britain, six for England and four for Ireland. The back-to-back Wembley triumphs over Bradford in the 1996 and 1997 Challenge Cup Finals were major triumphs for Chris and the Club. As Saints romped to the first Super League Championship in 1996, Chris was the cornerstone of the solid Saints` pack and established his reputation as a prolific tackler as well as a strong running second row forward. These performances were rewarded when Chris was appointed Club captain that same year. 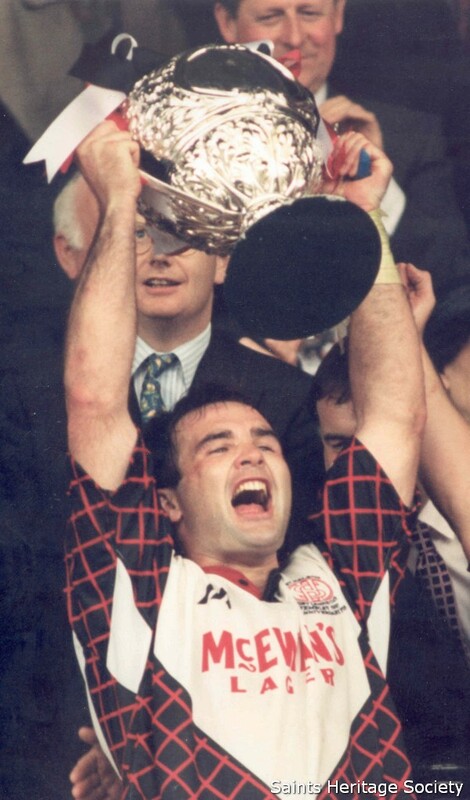 Chris was a vital cog in the side that lifted the 1999 Championship and the following season the Saints retained their Super League Champions crown. Joynty finished off one of the greatest ever team tries in September 2000. The fact that Chris was on hand to finish off the Wide to West move from 45 metres summed up his never say die attitude. The 2000 Grand Final brought two tries to Chris, the second a characteristic backing up on the inside a Sean Long break to complete a neat Saints move. As well as collecting the Trophy on behalf of the team, Chris also scooped up the Harry Sunderland Trophy, for a second time, as man of the match. A few months later the Saints lifted the World Club Championship on a freezing February night at the Reebok Stadium, Bolton. A beautiful sidestepping of Sailor by Paul Newlove to find Captain Fantastic on the inside to score in front of the Saints faithful. Joynty then led a Saints defence that completely nullified the Broncos legendary attack with two drop goals from Long and Sculthorpe sealing the victory. Once again, Chris won the man of the match award. The treble was then completed a few months later when Saints defeated Bradford in wicked weather at Twickenham in the 2001 Challenge Cup Final. 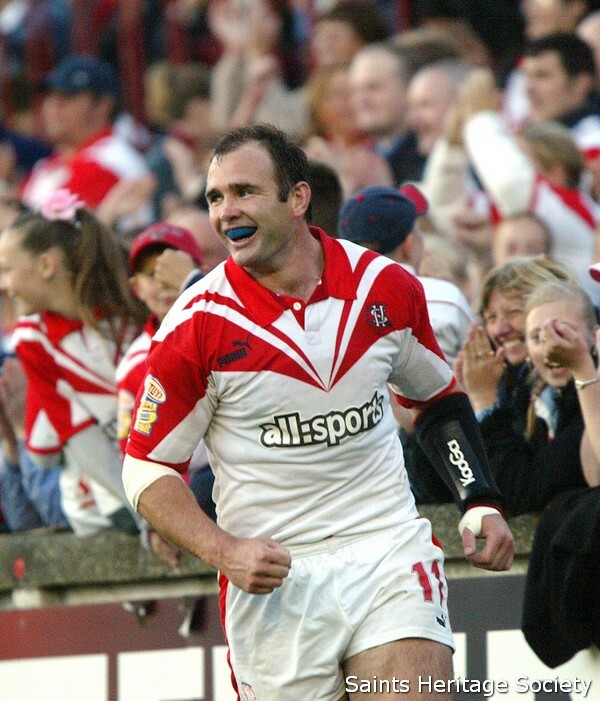 Captain Joynt was on hand yet again in the 2002 season as Saints went on to lift the Super league Championship in the most dramatic of finales to any Rugby League Final. Chris never gave anything less than 100% commitment to the cause and it was no coincidence that Saints` most successful period was synonymous with Chris Joynt.